You have a planner, an iPhone scheduler, and a traditional calendar on the wall. You’re ridiculously busy. You’re driving. You’re planning You’re volunteering. You’re filling the fridge. You’re shopping. You’re fretting, soothing, disciplining, cheering them on and checking their social media for all the things you might be missing. Regardless of your children’s ages, you’re putting in serious parenting work…all day, every day. And, the days just keep running into each other. Maybe you see your partner occasionally and shoot them a text about the next game or recital. Maybe you’re doing all this on your own. If you gave yourself time to think about it, it might just feel like too much. But that’s just how it is, right? Give it all you’ve got? Leave it all on the living room floor? Sacrifice for the carpool lane? Aren’t we supposed to cram all our lists and responsibilities into the few hours we have with our kids? Isn’t that the job we signed up for? Okay. Let’s stop right here. Parenting is a good thing. It’s filled with joys and responsibilities. But the assumption that you must live an overwrought, overworked existence is a pervasive, and depressing, parenting myth. Is that what you really want? 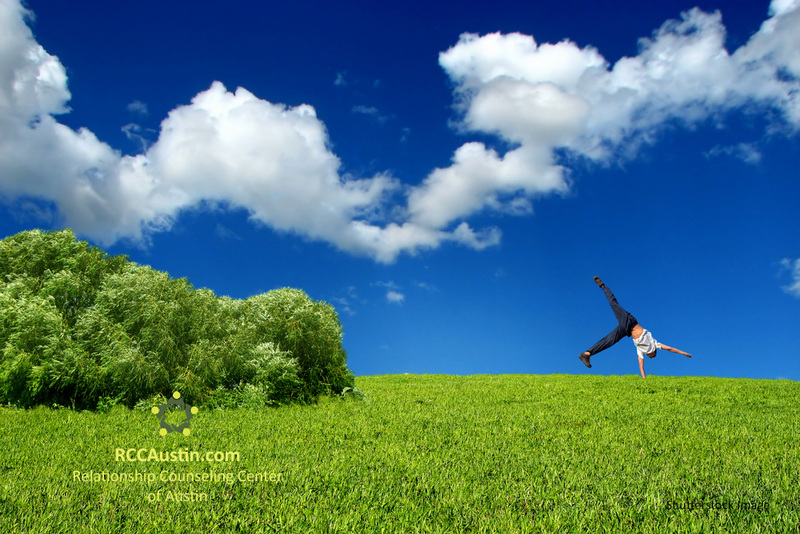 How can you really enjoy anything, including your children, if you can’t catch your own breath? It’s that whole oxygen mask metaphor. Not taking care of yourself is not an option. Think of the example you’re setting for your family. Do you want them to neglect their own care, too? Why is self-care for parents so crucial? For the following reasons and many more. Why not embrace one or two of them? Your family will thank you. 1. Self-care can teach you to be fine with just “okay.” It’s a good way to maintain perspective. It will be hard to take care of yourself if your mind is filled with all the ways you’re shortchanging your kids. Learn to give your brain, and planner, a break. Allow the kids to eat something non-organic at the neighbor’s house. Let Grandma cheer them on at the soccer field. Let someone else’s mom or dad volunteer for the annual spaghetti dinner. It’s okay to take some time for yourself. It’s okay to let the kids be okay with someone else. 2. Self-care for parents says, “Unplug. Disconnect. Power down.” Don’t cheat yourself of peace and quiet. Teach this to your children by setting an example. It’s a very good thing to just say “no” to your phone, tablet, and computer. Get away from social media, email, texts, and all the rest. Take some time periodically to live a life without notifications and alerts. Try to quiet your mind. Give yourself the gift of being off the clock and out of touch. Show your children that this can be done. No one else will show them the way, if you don't. 3. Self-care encourages you to delegate, accept offers of help, and release resentments. Learning to let go and let people share responsibilities is an integral part of self-care for parents. From your partner to your kids, to friends who’ve been asking to help you - accept the assistance. You don’t have to be in charge all the time. In fact, while releasing some of your responsibilities is good self -care and can relieve some stress for you, it helps your kids to feel more competent and capable of taking of themselves, too. Win-win! You all deserve a reward for teamwork, go for ice cream and relax. 4. Self-care for parents always includes rest. Why not make tonight a “school night” for you too. Sleep helps you stay healthy and emotionally even. When the kids go down for bed, it’s easy to think of it as “me” time. But, if “me time" leaves you exhausted in the mornings, bring back bedtime. Relax for a bit, soak in a bath or a hot shower and then head for bed. A good night’s sleep is the foundation of good self-care. 7. Self-care will permit you to smell some roses, have playtime in the dirt, and maybe a little reconnecting roll in the hay (!). Self-care for parents is vital because it allows you to finagle some play time. You need to play your own, adult way. Kids are fun. But grown up fun is better. Wrestle around with your significant other. Get outside with a friend. Return to a hobby you enjoy. You deserve a recess too. 6. Self-care for parents includes a lifestyle that keeps you around for your family for a long time. Go for a hike, get on a bike, stretch out your downward dog. Want your kids to take care of their bodies, eat well, and exercise? Show them how it’s done. A good diet and 30 minutes of healthy movement can help you squash a crabby attitude, depression, parental anxiety, and more. Take a bit of time for self-care, then take a bit more. Soon, you’ll find you’re a better parent and your mental and physical self is refreshed and rejuvenated. Self-care is intentional and motivational. It is not selfish. Self-care for parents is a must-do on the to-do list. Don’t parent without it. You can do this. And you can enjoy it. Get started today! Contact the Relationship Counseling Center of Austin at 512-270-4883 to schedule an appointment with one of our counselors. 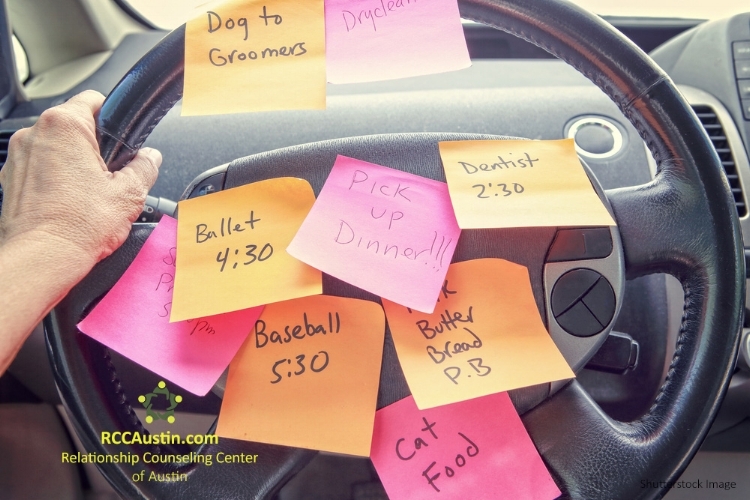 You can also complete the scheduling form on the RCC Austin Scheduling page and request an appointment. Someone will be in touch with you as soon as possible to assist you with scheduling.